Hey Holly Golightly: Me and Diet Coke – Splitsville! I would like to tell you a story. It’s about a girl and a bad relationship and it goes like this. A young girl (ok, me) started fraternising with diet soft drink. It was so long ago that I can’t remember how it started but I do know why. I was 14 or so and like many other 14 year old girls the last thing I wanted to be was fat. I had heard about calories so the idea of a food or drink that didn’t contain them seemed magical. Sweet, available and appetite quenching I began to include the stuff in my diet. Pretty soon it was all I drank. In many cases it was a meal replacement. I know I too shudder at the thought but I was young, naive and bad health was the last thing I my mind. 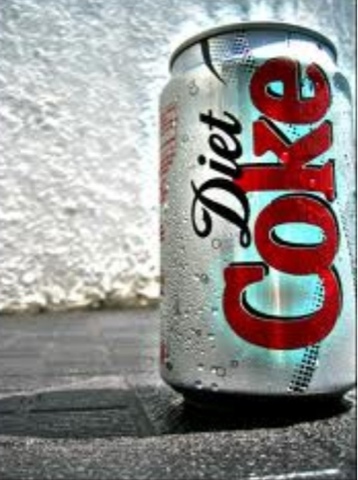 Without realising I had formed quite the bond with diet coke and as I entered my late teens the headaches I had suffered from intermittently became more intense and more frequent. With them came severe bouts of nausea. I know it sounds silly but diet coke was all I wanted to consume through these episodes. At times I was jittery from the caffeine and as the headaches worsened it occurred to me that the very thing I craved may have been making my headaches worse. I tried to stop. But whenever my headache came back all I wanted was diet coke. The on again off again relationship was volatile. Diet Coke didn’t help me and I knew it but for some reason I couldn’t stop. Was it addiction? Looking back I know it was. It seems ridiculous but the thought of not having it made me anxious. If I was sick its all I wanted. Years passed. I don’t like to dwell on the damage it has done to my body. Sometimes I was drinking up to 3 Litres of the stuff a day. I worked hard on understanding my body. Through trial and error I have managed to significantly reduce the frequency of my headaches. If I was getting sick less often then I had no excuse right? I have been diet soft drink free for four months. In the beginning I replaced the Diet Coke with soda water but I now I rarely drink that either. I feel like I have successfully broken the habit. I don’t know why it had such a hold on me. I don’t know why I couldn’t let go of something that was only doing me harm. My health has improved. I feel better. My mind feels clearer. I feel happier, less anxious. I don’t know the extent of how much it affected me or in what ways. I’m glad it’s over. In some ways it was a hangover from a teenager’s issues with body image that lasted over a decade. I am writing this post not to warn you of the dangers of Diet Coke or other diet soft drinks (although I do hope you never start to drink the stuff) but to give you hope for change. If there is something in your life you don’t like, no matter how long you have done it, had it or held on to it, you can change. I wouldn’t expect anybody to understand my addiction to Diet Coke. Just stop drinking it right? If only habit-breaking was that simple. But I do hope that if you suffer with an addiction or have a habit that doesn’t serve you that you keep battling to let it go. The freedom you feel when you do is just as addictive.